Did your tuxedo shirt not come with buttons at the cuff? Never fear! Captain America has got you covered with these Captain America Marvel 3-D Cufflinks! 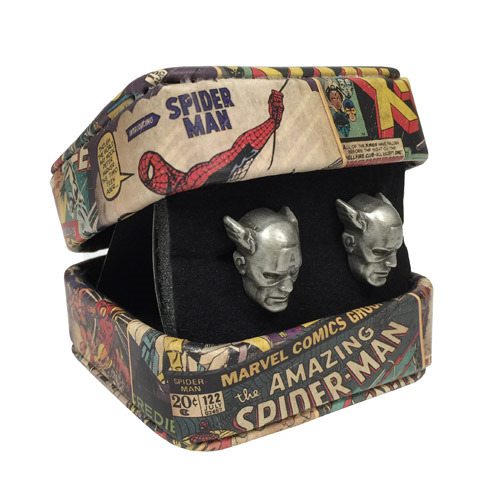 Made to look just like the patriotically masked head of Steve Rogers' alternate identity, these fantastic gray cufflinks are must-have apparel accessories for Marvel fans! Ages 13 and up.